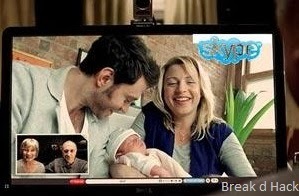 A group of people from Massachusetts Institue of Technology (MIT)'s Entrepreneurship Development Program, have deviced a method for video chatting with your loved once even is they have passed away from you. A website will generate a avatars for the person who have been dead, so that we all can be with our loved once even if they have departed from us. The Site is "eterin.me" is a startup by MIT's various skilled persons, the site is said to work by getting the information of the dead from their social network, skype logs, photos and e-mails. "Eterni.me collects almost everything that you create during your lifetime, and process this huge amount of information using complex Artificial Intelligence Algorithms" - source Eterni.me. The site claims that it can visually and digitally produce a person will all the above details and using a bit of AI algorithms, since now most of the people spend their life online this idea will grow in the positive direction and lead to further more advancement.